The Killeen Police Department is investigating a late night shooting. 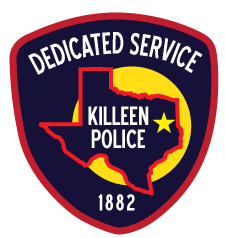 Killeen Police Officers were dispatched to the Stone Hill Apartments located at 101 W Central Texas Expressway, on March 30, 2017 at 11:17 p.m. in reference to a gunshot victim. Upon the officers’ arrival, they found a 18 year-old female victim with a gunshot wound to the leg. She was transported to the Baylor Scott & White Hospital with non-life threatening injuries. Officers were told that the victim was visiting the apartments when a gunshot was heard and the victim was wounded. Suspects have been identified and this case continues to be investigated and information will be released as it becomes available. KPD Investigates Shooting on Bacon Ranch Rd. Killeen Police Department is investigating a shooting in the 1200 block of Bacon Ranch Road. Killeen Police responded to a shooting, at the 1200 block of Bacon Ranch Road, on Thursday, June 18, 2015, at 12:01am. Upon the officer’s arrival, they found a 22 year old white male, in the parking lot, suffering from a gunshot wound. He was immediately transported to the Baylor Scott & White Memorial Hospital. The victim was taken directly into surgery and is in stable condition. Killeen Police Department is investigating a shooting in the 2300 block of Botanical Drive. Officers responded to a 911 call of shots being fired, at the 2300 block of Botanical Drive on Sunday, June 14, 2015, at 5:21am. Upon their arrival, they spoke with witnesses in the area but were unable to locate a victim. At 5:36am officers were notified that their victim, a 28 year old male suffering from a gunshot wound, was dropped off at Metroplex Hospital. The victim was subsequently transported to Baylor Scott and White Hospital Memorial Hospital in stable condition. The preliminary information obtained by officers revealed that the victim was on Botanical Drive when he was shot. The name of the victim is withheld at this time due to the ongoing investigation. Killeen Police investigate a shooting on Kern Drive involving a two year old child. Officers responded to 807 Kern Rd. at 8:43am on Friday, December 05, 2014, after receiving a call from a mother who advised her toddler son had accidentally shot himself. Officers arrived to find the toddler suffering from a gunshot wound to his left thigh and chest area. Killeen Fire Department Paramedics arrived and immediately transported the child to the McLane Children’s Scott & White Hospital in Temple in serious condition. The mother told officers she was in the bathroom when she heard a loud bang; she went to the child’s bedroom to find him suffering from a gunshot wound. As officers were conducting the initial investigation they removed several other weapons from the residence. The two year old victim underwent surgery to remove the bullet and is in the Intensive Care Unit in critical condition. The victim, his 1 year old and 7 year old sisters have been removed from the family and placed in custody of the Child Protective Services at this time. Detectives continue to investigate this case and more information will be released as it becomes available. The Killeen Police Department encourages everyone to be responsible when children and weapons are in a residence. Children are very curious and can gain access to places you wouldn’t think are possible. Keep your weapons locked and out of reach at all times. KPD Investigates Homicide on Pine Dr.
Killeen Police investigate a shooting on Pine Dr.
Officers responded to the 1400 block of Pine Dr. on Monday, October 20, 2014, at 5:30am, after receiving numerous calls about shots being fired in the area. Upon their arrival, they found a 64 year old female in her driveway with a gunshot wound. Justice of the Peace Garland Potvin pronounced the victim, Christine Watkins, deceased at 6:05am, an autopsy was ordered to be performed at the Southwestern Institute of Forensic Sciences in Dallas. The Criminal Investigation Division continues to investigate this homicide and information will be released as it becomes available. There is no one in custody at this time and no suspect information; therefore we are asking for the community’s help. It is with great sadness that we inform you of the passing of Detective Charles “Chuck” Dinwiddie. 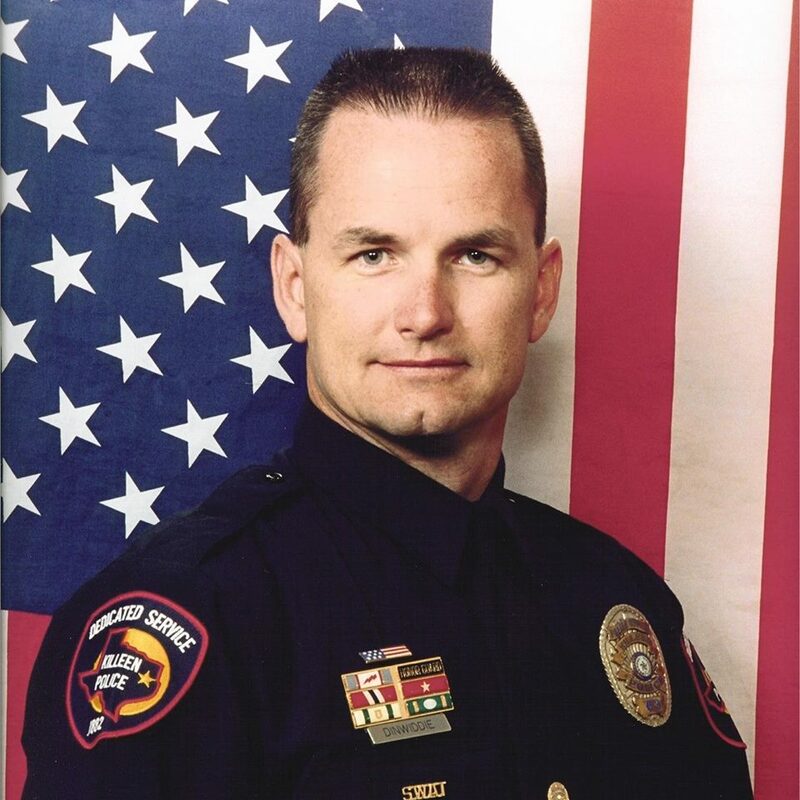 Dinwiddie was an 18 year veteran of the Killeen Police Department and a member of the SWAT Team for 15 years of those years. On Friday, May 9, 2014, just after 5:30am, members of the Killeen Police Department Tactical Response Unit and the Bell County Organized Crime Unit were attempting to serve a narcotics search warrant. The TRU was beginning to breach the window when the 49 year old male inside, opened fire striking four officers. Two of the officers who were shot, received minor wounds because they were shot in an area where their safety equipment protected them; they were treated and released at Scott & White Memorial Hospital. 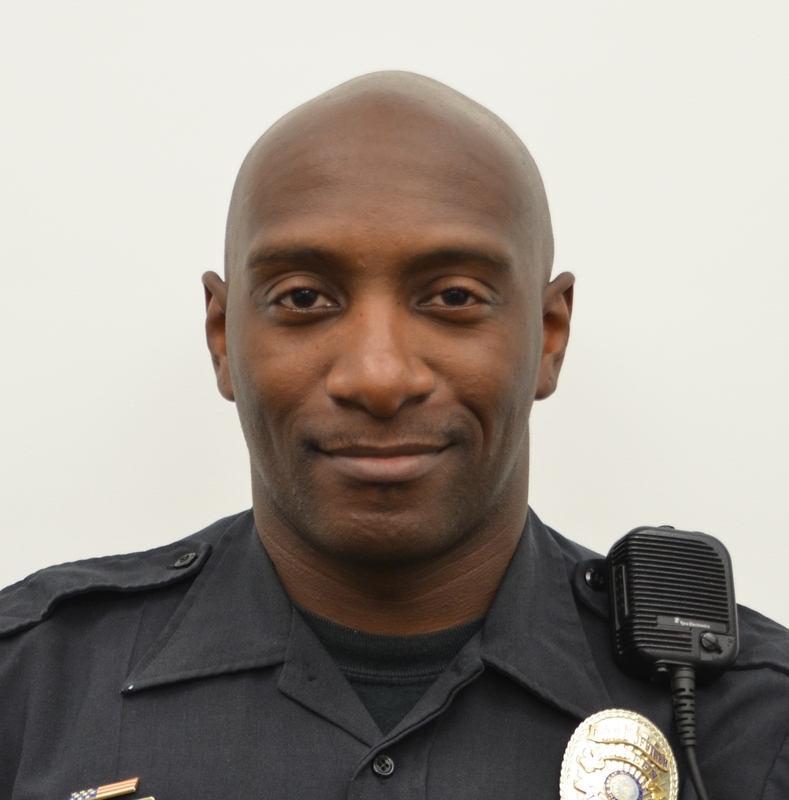 Officer Odis Denton, a 9 year veteran of the department and an 8 year SWAT Team member, was shot in the femur. He was transported to the Carl R Darnall Army Hospital and later transferred to Scott & White Memorial Hospital. After undergoing surgery Officer Denton is in the Intensive Care Unit in good condition; he continues to recover successfully. Detective Dinwiddie received a life threatening wound to the face and was immediately transported to the Carl R. Darnall Army Medical Center and later transferred to Scott & White Memorial Hospital and admitted to the Intensive Care Unit in critical condition. On Sunday, May 11, 2014, Detective Dinwiddie succumbed to his injuries and was pronounced deceased at 2:14 pm by Justice of the Peace David Barfield. Detective Dinwiddie’s body will be escorted to the Southwestern Institute of Forensic Sciences in Dallas on Monday, May 12, 2014, for an autopsy to be performed. Funeral arrangements are pending and will be released as they become available. The Killeen Police Department would like to thank the members of the Temple and Harker Heights Police Departments and Scott and White Memorial Hospital for providing their phenomenal support to us during this very trying time. Killeen Police investigate early morning shooting of officers on Circle M Dr.
Members of The Killeen Police Tactical Response Unit and Bell County Organized Crime Unit were attempting to execute a search warrant at 1104 Circle M Dr. # C, at approximately 5:30 am, on Friday, May 9, 2014. As the officers were breaching the apartment the occupants inside opened fire on the officers; four officers were shot. Two of the officers were shot in an area were their safety equipment protected them and they were treated and released from Scott and White Memorial Hospital. Two other officers were transported to the Carl R Darnall Army Medical Center and subsequently transferred to the Scott and White Memorial Hospital. One of the officers is a nine year veteran currently in the Intensive Care Unit at Scott and White and is in good condition. The other officer is an 18 year veteran, in the Intensive Care Unit at Scott and White Memorial Hospital; he is currently listed in critical condition. A 49 year old male and 50 year old female were taken into custody and transported to the Killeen city jail. 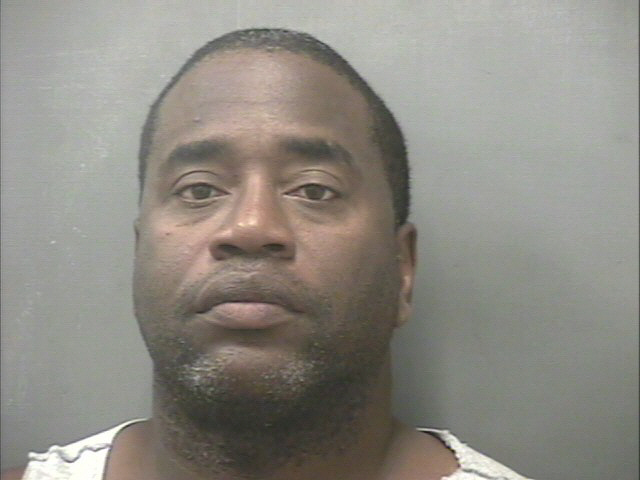 This case was reviewed by the Bell County District Attorney’s Office and complaints were returned charging Marvin Louis Guy with three counts of Attempted Capital Murder, his bond was set at $1,000,000 for each count. The investigation continues involving the female and her name will not be released at this time. The names of the officers will not be released at this time. Killeen Police are investigating an early morning shooting on Wolf St.
Officers responded to 302 Wolf St. at 2:09 a.m. on Wednesday, April 30, 2014, in reference to a shooting. Upon their arrival, officers located a 36 year old male suffering from gunshot wounds to his chest. The victim was immediately transported to the Carl R. Darnall Army Medical Center, where he succumbed to his injuries and was pronounced deceased by medical personnel at 2:47 a.m. Justice of the Peace Garland Potvin ordered an autopsy to be performed at the Southwestern Institute of Forensic Sciences in Dallas. The victim in the shooting has been identified as 36 year old SungJin Farris of Killeen. Through the investigation detectives have determined that this was not a drive by shooting as earlier reported and they continue to interview witnesses and possible suspects. This case continues to be investigated and information will be released as it becomes available.